Conveniently located halfway between Houston and Austin on Hwy. 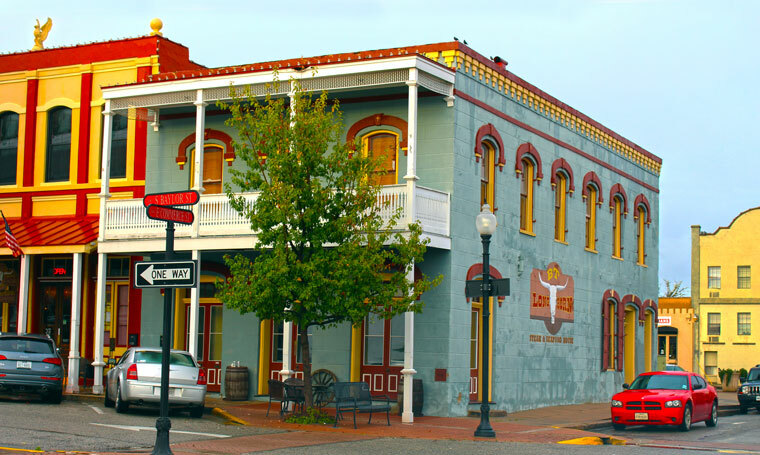 290 in Washington County, the historic and quaint town of Brenham Texas offers the visitor a variety of experiences. An historical downtown features a wide array of antiques and specialty shops, as well as a variety of lodging and dining options. The nearby Washington-on-the-Brazos State Historic Site features a state-of-the-art visitor center and is the location of Independence Hall, where founding fathers signed the Texas Declaration of Independence. The George Bush Presidential Library is located in nearby College Station. In Spring, Brenham is a popular destination for travelers who descend upon the region to view the bluebonnets that proliferate in the fields and pastures. Click HERE to see a USATRAVEL photo gallery on this region.